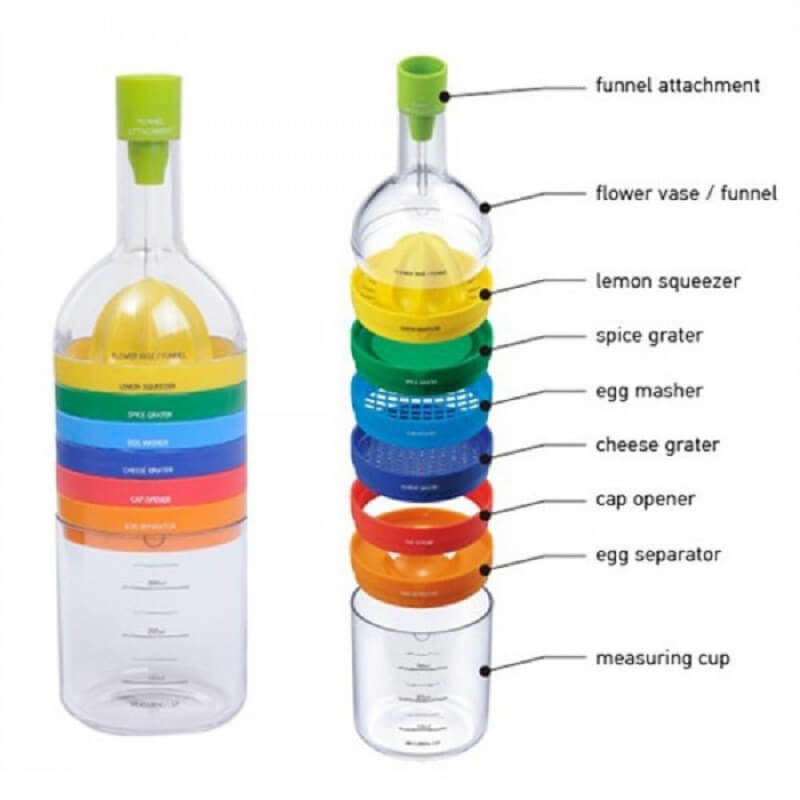 Save tons of space in your kitchen. 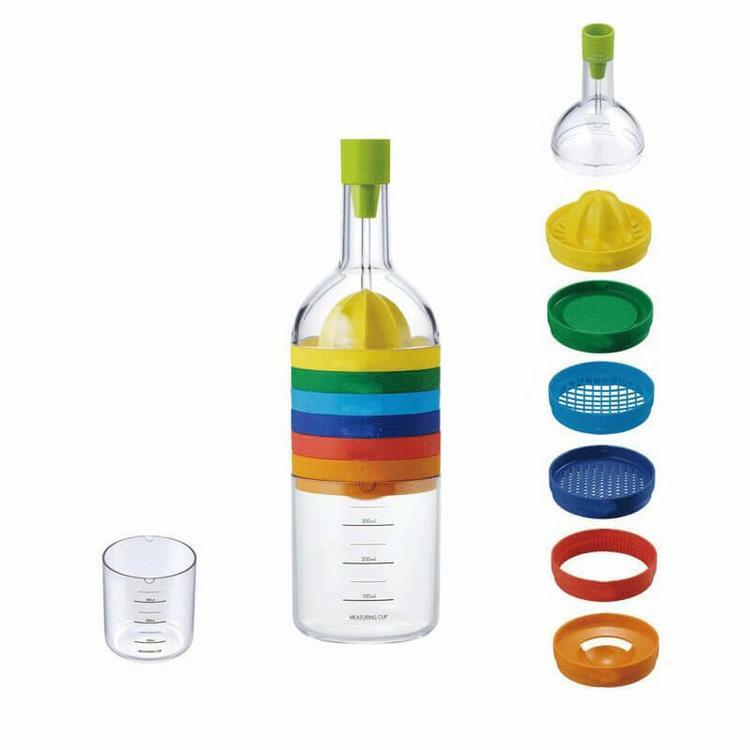 Comes with a funnel, juicer, grater, egg cracker, shredder, can opener, egg separator and measuring cup. 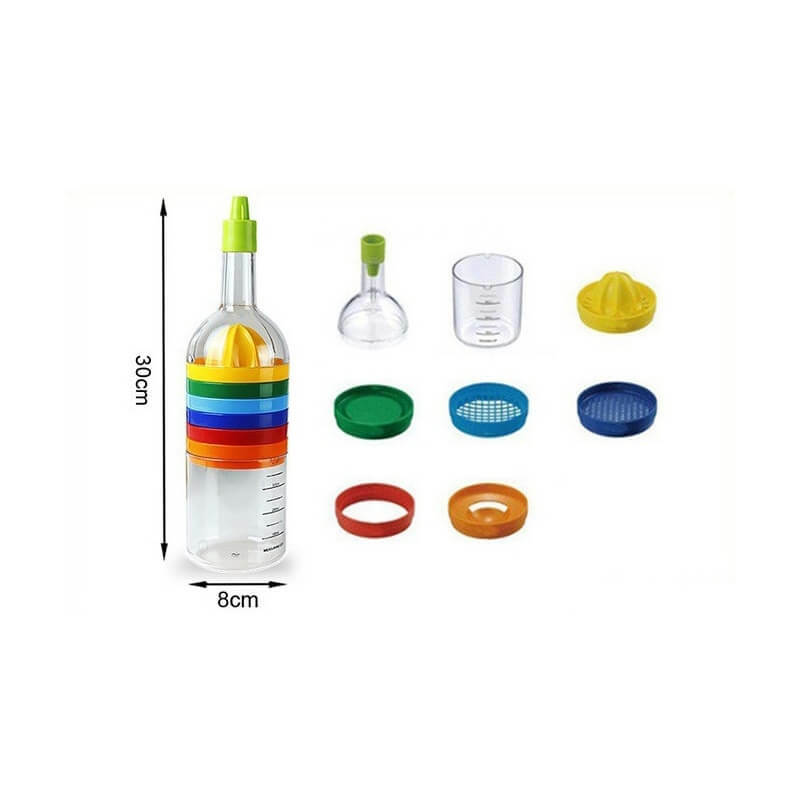 No need to purchase your kitchen tools separately.